I have great news, LATB readers! As a member of the Tide Fabric Care board, I’m able to offer a wonderful giveaway to my readers. 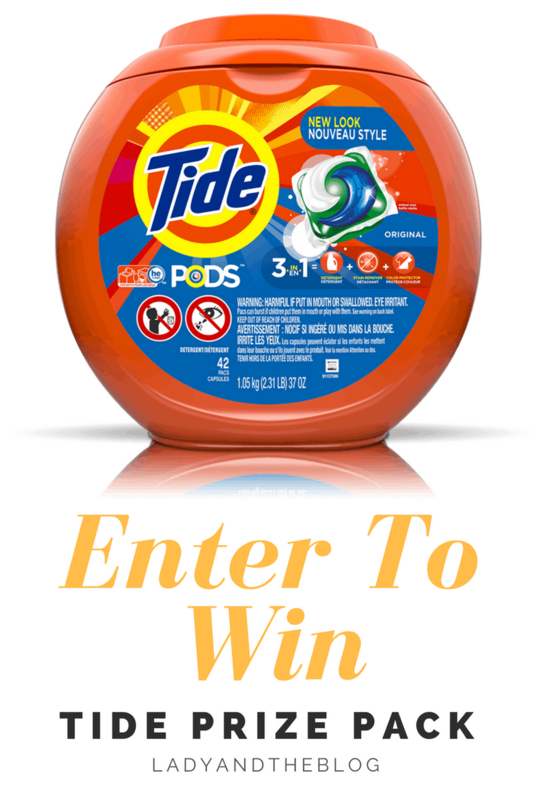 Using the form below, you can enter to win a prize pack filled with Tide goodies. What’s included? Two Tide tubs + 2 zipper packs of PODs. That should set you up in the laundry department for a while, right?! So fun! When I married 16 years ago, the first (and only) laundry brand I brought into my new home was Tide. This made complete sense because I grew up in a Tide home. You use what you know and love, right? I feel I’ve grown up right alongside the brand. From powder, to HE liquids to Pods. The evolution has been clear. 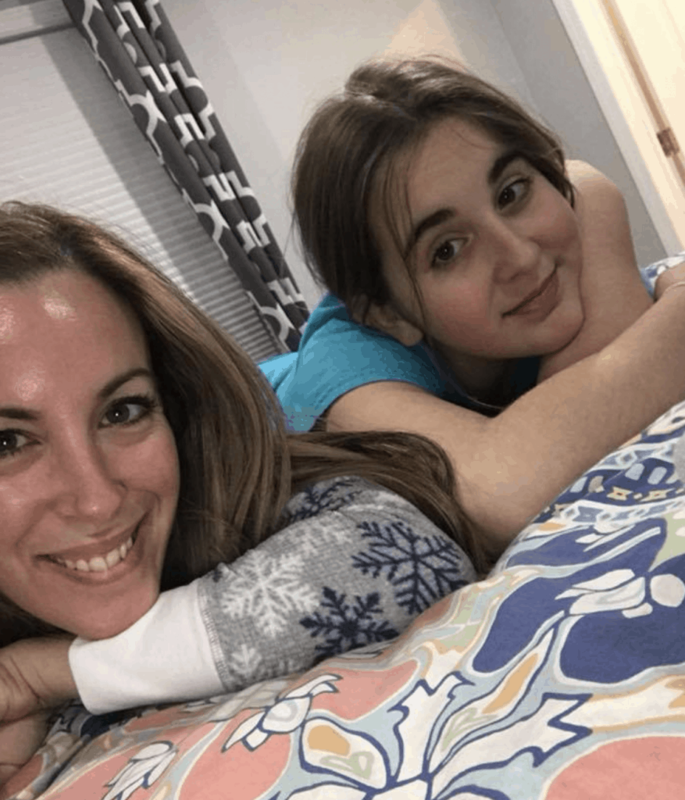 Same with me – I started as a newlywed and am now a mom of three. We grow. We learn. We love… and we do it all over again. I’m also finally at the point where my 12-year-old daughter is really stepping up and taking over laundry duties. I’m beyond thankful for that by the way!! LOL! But honestly, she has learned the same lesson I did and my mother did before me. Tide works. Tide treats your clothes with respect and is a brand backed by passionate people who are committed to safety. Use the form below and enter to win. This contest will run for one week. Prize includes Two Tide tubs + 2 zipper packs of PODs. *this is in partnership with Tide. All opinions are my own. I love how it keeps my clothes smelling so good for days after I wash them. I love that Tide can fight my twins’ crazy boy stains as well as their Daddy’s work clothing stains. A guy coming home after being underground can get a bit messy! I love the quality and scent of Tide. I love that Tide is the only detergent that can get my baby’s clothes really clean and get all the stains out on the first wash! Very effective pods for washing clothes, also convenient. I love that Tide makes clothes look brand new. I love the smell and the ease of use. I love Tide’s cleaning power. It’s so reliable! Never had a problem with it and always great scents. I love the way Tide cleans; it is the only laundry detergent I will use. The ability to easily remove stains that kids get on play clothes! I love how well they clean yet they don’t damage the clothes. I trust Tide to clean efficiently while preserving color . I love the fresh, clean scent! I love how good my clothes smell after using Tide. Also it’s great for getting stains out. I love Tide because it’s strong and the best detergent for removing stains, but gentle on your clothes. I like their variety of types, i.e. free & clear or scented or stain lifting all for different uses! I absolutely love the smell that Tide gives our clothes. So fresh! I love Tide because it works/cleans the best! I like the smell and that even things like towels smell great for awhile after washing. Tide is a very good detergent if you want your clothes clean! Powerful action in one drop of a pod. It works well on stains & I like the scent. I have never tried Tide products before silly me. It would be awesome to win some and try it out. Tide has always worked really well for me. Tide pods are great! Not good for dessert, though! Tide gets my husbands Chef Whites clean when nothing else does! The pods; they’re so neat. No drippy, sticky mess. It just works better than anything else! I love how tide smells and well it cleans the laundry. I love how they get my clothes so clean! I love how clean it gets my clothes. I love that it is not a diluted laundry soap like some of the cheaper brands. I do lots of laundry for my large family. My favorite thing about TIDE is the smell!! I absolutely love Tide for the fact that I have four young / little children who love to play and get dirty and Tide stands their grounds to removing stains from outdoor play to my children using their clothing as a napkin . Also the smell is amazing and our clothes have never felt so clean ! I would try to use the cheap laundry detergent to save money but it never worked , I always had to spend more money replacing clothes, towels, washcloths , blankets , sheets and stuff animals . The list goes on . But with Tide , I have not yet had to do any of those replacings and save money ! I love that Tide is the best for cleaning clothes and making them smell good! Love how well they work! I love the scent of Tide! I love the way it makes my clothes smell clean. Even with messy children running around, it does a great job. I love the consistently excellent quality. I love that it is a brand I can trust again and again. I like that I can always depend on Tide to do a great job of cleaning my clothes. Tide works better than other detergents, and we don’t break out in skin rashes when we use it like we do with other brands! I like how effective it is at cleaning my clothes!